We have exciting news at Freightos – we’re proud to announce that we’ve acquired WebCargoNet, a leading logistics technology provider. But this story is more about a vision for a better future of freight, than just another acquisition. In many respects, this should be a good time for the logistics industry. There’s unprecedented volumes of global shipments, growing international trade, more flexible supply chains, and easier sourcing than ever before (Alibaba, anyone?). And yet, logistics providers are challenged by rising shipper expectations and dropping margins. The surest bet to escape this is technological innovation. For some time now, LogTech startups have taken the lead. Recently logistics providers have been overcoming their reticence, working in cooperation with logistics technology visionaries. Notable examples include K+N’s partnership with a tech accelerator, DB Schenker’s exclusive agreement with uShip, and here at Freightos, automating freight rate management for several enterprise forwarders. So, in news that can only be good for logistics, today’s announcement marks a new era – LogTech players like Freightos and WebCargoNet joining forces. Freightos’ focus has been on the shipper-forwarder relationship, both through AcceleRate which provides multimodal freight rate management and door to door freight quoting, and through the recently released online freight marketplace. WebCargoNet’s focus has been more on the carrier-forwarder relationship and has also placed more focus on air freight. Beyond breakneck growth, both companies share a number of similarities. Both focus on relentless optimization of pricing and routing with powerful, big data technology. More tellingly, both share the same mission – making global trade frictionless. Back in 2008, first-year Spanish college students Manel Galindo and Enric Alventosa tested their software skills on the market “as a game”. A forwarder who loved their tracking software brought up a bigger problem – managing air freight rates. There had to be a better way than his color-coded binder. Manel and Enric soon realized that if they could make managing air freight rates easier, they would have forwarders and airlines lining up. So at the peak of the global crisis – with Spain being particularly hard hit – and despite pleas from their families, the two teenagers quit their studies and started a freight revolution. Within a year, every airline and 60% of the forwarders operating in Spain had signed up, with forwarders ditching binders for WebCargoNet. In Portugal it took a mere two months to snap up every airline and capture 40% of the forwarder market. 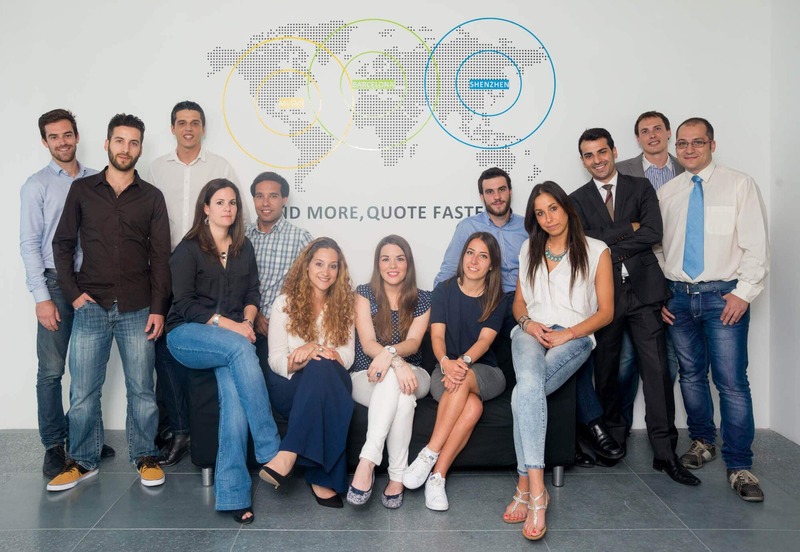 After two years they added forwarder-to-airline quoting capabilities. Today every airline in the 80 larger air freight markets has signed up, as have some airlines in another 60 smaller air freight markets. Two years ago they partnered with ECS Group to offer online freight booking. Following a successful pilot in France, forwarders can now send booking requests directly from their pricing platform. WebCargoNet also recently received ISO 27001:2013 accreditation for data security, providing assurance at the highest level for system users and end customers alike. The continuing success of the product hasn’t gone unnoticed. They picked up the World Air Cargo award ‘Best IT for the Industry’ category, the last two years running. Changing an industry takes a great deal of work and focus. For the time being, WebCargoNet and Freightos will continue to operate as is, as separate entities within the Freightos Group. At the same time, there are a great deal of synergies to be leveraged between the two companies. For instance, the Freightos Group has now accumulated over 200 million unique freight data points, a mix of public and private equity, to give support to our clients. In an data-driven world, this means more efficient and informed operations. The convergence of data will make it simpler and faster than ever for carriers and forwarders to sell services, while improving world trade for for importers and exporters. 2016 is indeed the year freight goes online. The world runs on logistics. While changing an industry of this scope is no simple feat, it’s telling that in what is a very short time, over 90% of the top 25 logistics providers have chosen to use Freightos and WebCargoNet technology. And we’re not slowing down.